Nationwide Auto Transportation is the leader in Oregon vehicle transportation. We can ship your car from any city in the state of Oregon such as Bend, Sherwood, Beaverton, Milwaukie, Oregon City, Tigard, Portland, West Linn, Lake Oswego and Happy Valley. Below are the most recent vehicle shipping routes that we have done. When you ship your vehicle, you want to use a choose a transportation company that knows the specific shipping requirements for that model of vehicle. Most people believe that Oregon has a bad weather all the year round. However, this is not the case, there are four months of summer which will make the other eight months bearable. Oregon is a great state and you may end up moving there for one reason or another. Nationwide Auto Transportation is a renowned car shipping company that will facilitate both local and interstate shipment of your car. 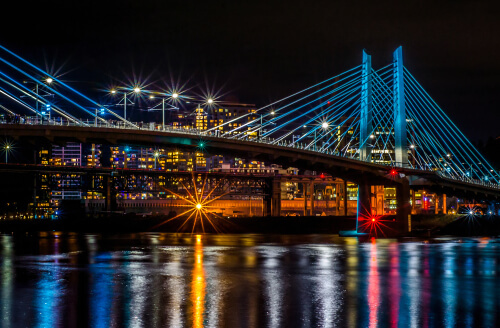 Some of the cities that you may consider while planning to move to Oregon include Ashland, Eugene and Portland, which are known to be rich in the American culture. When it comes to shipping your car, always ensure that you work with a professional and reliable auto carrier. There are a number of tips that we, at Nationwide Auto Transportation, provide so as to help you in finding a reputable car shipping company. You should start your search by comparing the price offered by different companies. Always find out what the cost will entail so as to be sure what you are really paying for. Another important tips is to look at the feedback that each auto carrier that you are considering to use has. The feedback should help you establish the level of experience that a company has in the industry and how they handle their clients. Avoid a company that has too much negative publicity. If you are among the people who own a luxury or classic vehicle, you may want to request your auto carrier to provide a closed carrier. This will cost you more than the ordinary carriers, which are usually covered. However, it is the best way to keep your car safe against bad weather, soil and dirt on the road. With these few tips, car shipping should be easy and without too much difficulty.